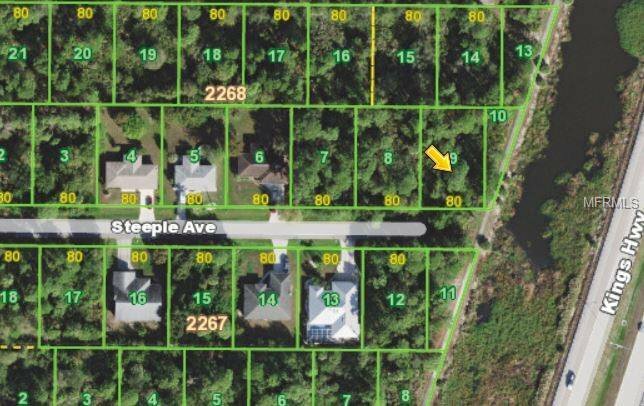 It's the perfect time to purchase a vacant lot located on a secluded dead end street in a great area of Port Charlotte! This lot is conveniently located close to I-75 and Tamiami Tr with tons of restaurants, shopping and fitness clubs. I can also give you information about local builders that would build the perfect dream home on this fantastic lot! Definitely a great price for a great location. Listing courtesy of RE/MAX PALM REALTY. Selling Office: RE/MAX ANCHOR REALTY.